Day 1; We arrived at the port in Copenhagen, Denmark around 1:00pm, though you can board as early as 11am. We gave ourselves 3 hours to board (the ship sets sail at 4pm) so that we could explore Copenhagen before we left on our vacation. This day included us exploring the boat and signing up for kids clubs. One of the amazing things about Disney, is their kids clubs. They have rooms for different aged kids to go hang out in, participate in activities and make new friends. This gives parents a chance to have some time alone and know their children are safe and having fun. After exploring the boat, everyone came together at Deck 9 to set sail and have fun during "Mickey's Sailing Away Party." During this, everyone waves to the passengers staying in Copenhagen & dances along with Mickey & his friends on stage. Once this is over, we headed to the 6:30pm theater show. Depending on the dinner time you request (6:00pm or 8:30pm) you will either watch the theater show at 6:30pm or 8:30pm, the opposite time that your eating dinner. I absolutely love the shows. Disney does an amazing job coming up with themes and special acts to entertain their audience. Day 2 was a "Day at Sea", so that means we didn't stop anywhere. We enjoyed our day watching Disney movies at Buena Vista Theater, participating in games at Vibe (a teen club), eating lunch at Cabanas (the buffet at deck 9), enjoying yet another theater show, & eating dinner at one of the three rotational dining restaurants (Lumiere's, Animators Palate, or Cariocas.) Depending on your room card, you will rotate between these three different yummy restaurants. This night included Formal Dinner. This means we were encouraged to dress fancy (like dresses & skirts or suits for men.) Day's at sea are, in my opinion, one of the best days on the boat. Disney provides their guests with the option of either Cabanas (the buffet on deck 9), Lumiere's (one of the 3 rotational dining restaurants), or one of the quick service restaurants on deck 9. The quick service restaurants include Daisy's Delights (a sandwich, salad, fruit, and cookie stand), Pete's Boiler Bites (a hamburger, hotdog, taco, etc... american fare type of stand), and Pinocchio's Pizza (a pizza stand where you can build any pizza you prefer.) Disney Magic does a fantastic job creating grade A food all day and making sure to cook the food in a fast manner, but keeping the flavor incredible. Now, the food is not the only reason I absolutely love day's at sea. Though food is a key factor, Disney also provides their guests with a news article every night, allowing them to see what activities are brewing for them the next day (you also have the option of using their Disney Cruise Line app to see the activities and menus for each day.) This activities sheet is always filled with karaoke, newly released movies, workout games, and more during the days at sea. Disney makes sure their guests always have something fun and new to do on the boat, knowing some might get bored not having anywhere to dock. Day 4 we stopped in St. Petersburg, Russia. On this day, we decided to get a bus driver and a tour guide (Alla Tours.) St. Petersburg had multiple churches (Church of the Spilled Blood for example) and palaces (Catherine's Palace), so we needed someone to help us find our way around. I recommend finding yourself a tour guide you trust (like Alla Tours), because during our visit to Catherine's Palace (and a few other city monuments), the line wrapped around the building to get in, but our tour guide found a way to skip the line and sneak us in, in only 15 minutes. Like Tallinn, St. Petersburg's weather was very strange. The morning was chilly and forced me to wear a scarf (Madewell) and a thick jacket (Madewell), but later in the day the temperature got warmer (maybe 67 degrees F) which allowed me to wear just a light rain jacket (Spice), because St. Petersburg did tend to sprinkle every so often. On this night, there was no theater show due to all aboard being at 11:30pm. This means, you had the option of staying out in Russia till 11:30pm or coming early and having dinner but no show. Day 6 we stopped in Stockholm, Sweden. This day was even shorter because all aboard was 3:30pm. We decided to visit the Armory & the Royal Palace next to it. If you are traveling with any boys or men, I recommend visiting the Armory. It was very cool for my brother and dad to see all of the military armor, weaponry, and royal carriages. We also purchased tickets for the Hop on Hop off bus, but it was very busy and packed (due to all the ships docked in Stockholm that day), I would not recommend buying a ticket for this bus in this town. This night Disney included "Anna & Elsa's Frozen Deck Party", which meant we all went up on Deck 9 before dinner to watch the Frozen characters dance and sing on stage. Disney also changed up their theater show on this night. Unlike their normal broadway style show, they provided us with a comedian show. Day 8 was our final morning on the boat, which meant you went to breakfast at the place you had dinner at the night before or eat at Cabanas (the buffet on Deck 9.) For my family and I, we ate at Animators Palate once more. After eating the final meal on the ship, everyone disembarked and headed to the airport to fly home. Disney allows all of their guests to eat and explore the ship before leaving, which was nice because we didn't feel rushed to get off the boat and let the new guests begin their vacation. This 7 night cruise from Copenhagen was a fantastic trip and well worth the money. 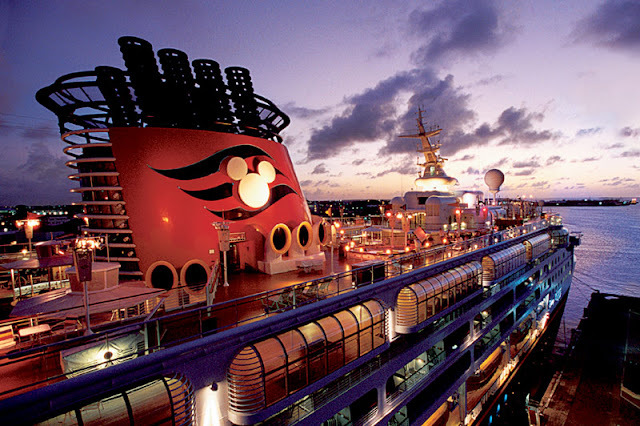 I know plenty of people are thinking, "A cruise is way to expensive. You pay for an expensive boat, expensive plane tickets, expensive hotel nights before the trip, expensive excursions, & expensive trinkets," but I'm here to tell you, it is all worth it. My family and I have seen and made memories I may never be able to make again. I'm a 16 year old girl and I have now already been to more countries than over half the adults I know, & this is all because my parents were willing to pay the money to take me on a life changing cruise in the Baltic. If you have any questions about my vacation or about me, feel free to contact me at hahcheer@yahoo.com!